Statue of Saint John the Evangelist (half chest) of 30 cm. 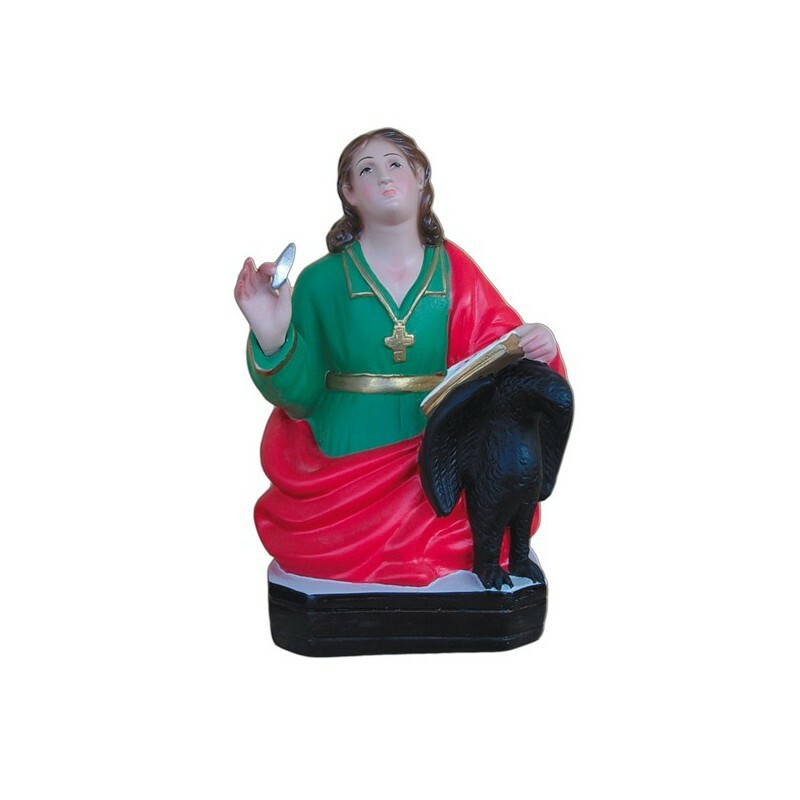 Saint John the apostle and evangelist is commemorated on the 27th of december. He was born in Jerusalem at the beginning of the I century. He died in Efeso. He was son of Zebedeo and Solimè, brother of Saint James and he worked as a fisherman. He was called by Christ to be guided to the apostolate. He became “The disciple who Jesus loved”. The Christ, who was dying on the cross, entrusted him his mother. John was one of the four evangelists. He wrote the 4th book, three letters and, according to the tradition, the Book of the Revelation ( the Apocalypse). After the Christ’s resurrection, he went to Efeso, where he spent the major part of his life. A legend tells us that in Rome, during the persecution against the Christians, he was thrown in a boiler with some steaming oil. He remained unharmed and he was exiled to Patmo. Patmo is an island of the Egeo where, according to the tradition, John the Evangelist wrote the Apocalypse. 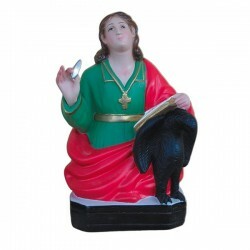 He is considered the saint protector of the writers, the editors and the theologians. He is the patrono f many localities: Teverola , Sansepolcro, Galbiate, San Giovanni la Punta, Motta San Giovanni, Efeso e Patmo. He is often painted by great artists, with symbols, naked in a tank, with a book and a chalice with a snake or an eagle.